Another well cut, elegantly proportioned Fairtrade gem from my favorite colored stone provider Columbia Gem House. The cut was first developed by the Asscher brothers in Amsterdam, and much like round brilliants, the cut maximizes scintillation. 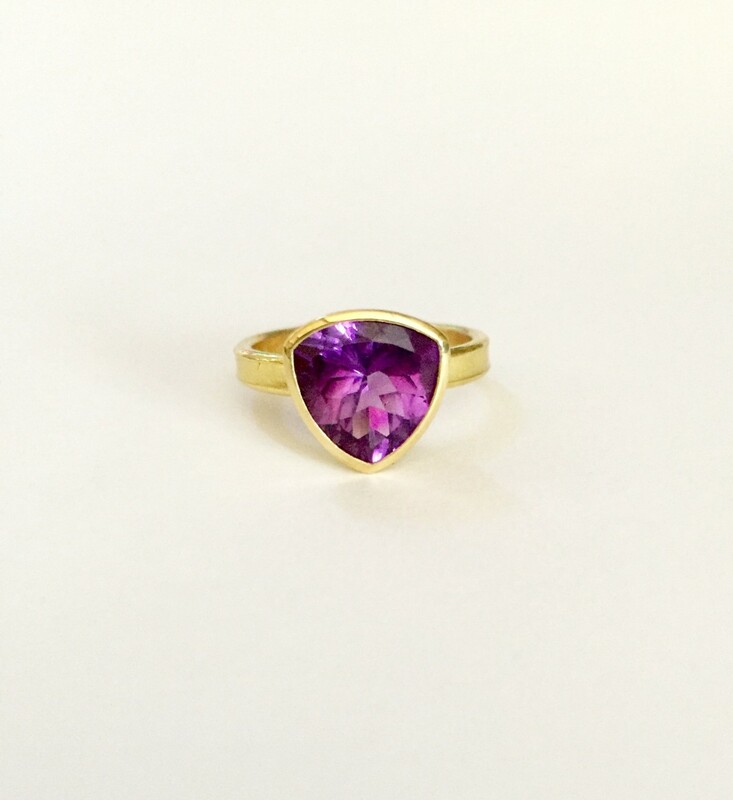 Skillfully set in a tapered bezel, the nearly 3 ct amethyst hovers on a simple organically textured band. As always, hand fabricated in 100% reclaimed and recycled 18k gold.